Dior 5 Couleurs Iridescent #859 Graphic Lights, from the summer '09 collection, caught my eye from the moment I came across the display in Isetan. The unusual mix of metallic pinks and silver made this an interesting departure from the usual pastel and baby pink palette from other brands. 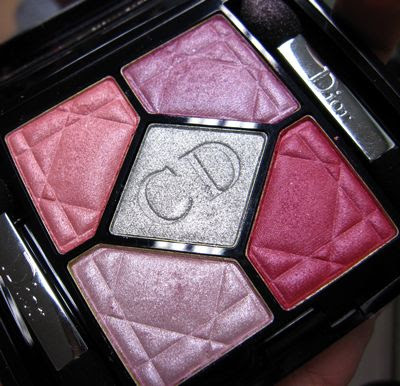 I snapped this up yesterday as Dior is raising the prices of its products by S$2-S$5 on 1 May. 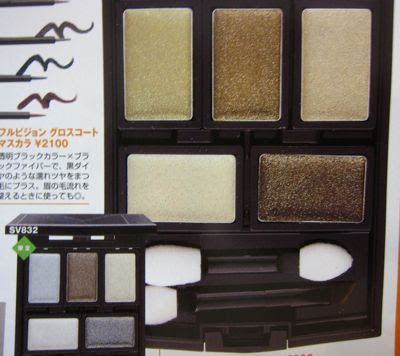 The eyeshadow palettes will be S$89 from tomorrow onwards, an increase of S$2. The new Artistry Palettes (with the cream liner and 4 powder shades) will remain at S$91 as they were just launched last week. 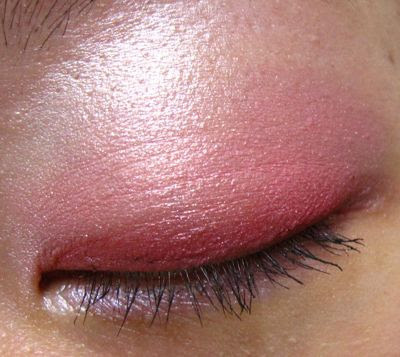 I'm actually not a big fan of pink eyeshadows but this was just too gorgeous to pass up. 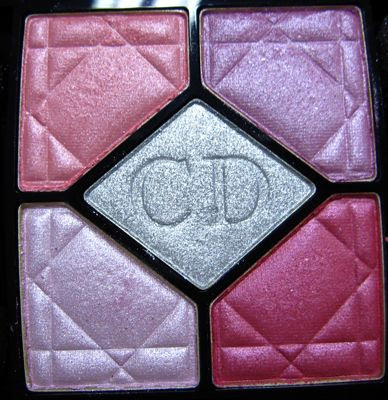 The silver shade is excellent for highlighting the inner corners to make your eyes look more awake and energised. 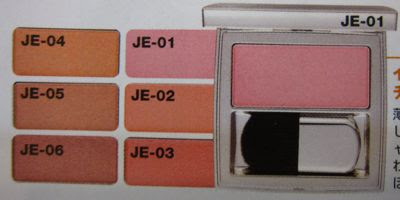 I dislike palettes which have shades that are indistinguishable from one another once applied but fortunately, all 5 shades in Graphic Lights are distinct enough to show up differently and yet they complement one another perfectly for a sweet, feminine look. 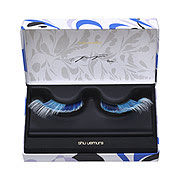 All the shades are well-pigmented and have a smooth, silky texture that is not too powdery and without any annoying glitter chunks so I don't get any fallout when applying these. 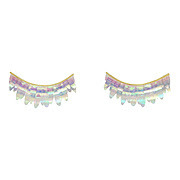 The soft pearl shimmer is flattering and easy to wear, suitable for both day and night. The shades have decent lasting power. 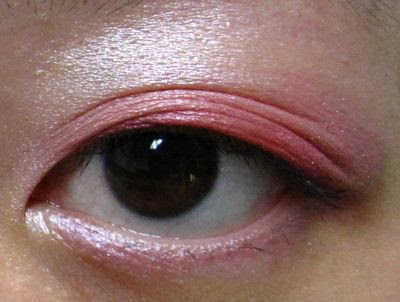 After 12 hours of wear, the peach tone in the top left shade and the medium bright pink shade (bottom right) had faded in intensity but there wasn't any obvious creasing and my eye makeup still looked alright, just not as pigmented as when it was freshly applied in the morning. 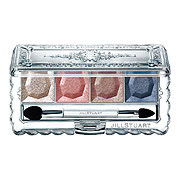 Despite the hefty price tag, I have no regrets picking up this palette :-) Jill Stuart's Seductive Eyes #1 Seductive Doll is the closest dupe that I can think of (both have bright pink and metallic candy pink shades) to Graphic Lights but it's by no means an exact one. 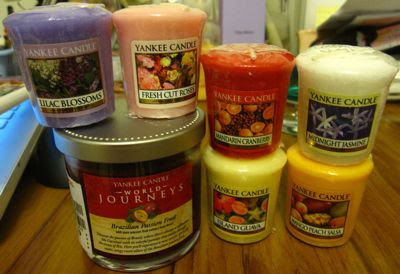 While searching for a soap dish for my Lush goodies in the Tangs basement level today, I was surprised to find a Yankee candles section. 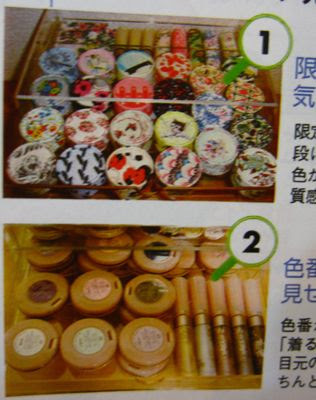 The small votives, which have a burn time of up to 15 hours, cost S$4.90 individually but Tangs is currently selling pre-selected packs of 3 votives for S$9.90. In the US, these cost US$1.99 each so Tangs' price is pretty decent. I also picked up a Brazilian Passion Fruit candle tumbler with burn time of up to 30 hours (S$25.90). I've been burning the Island Guava votive which has a yummy sweet citrusy scent but the throw is a bit weak. I can smell it alright as the votive is right next to my laptop but it's definitely not strong enough to scent a whole room. After the votive has burnt for about an hour, the throw increases to about a 2-metre radius. 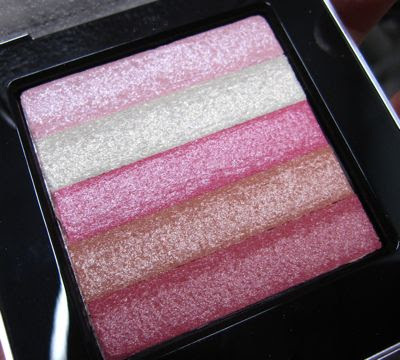 Being in the mood for pinks, I couldn't resist picking up the Bobbi Brown Platinum Pink Shimmer Brick at Isetan today. It's similar to Peony, except that it has a silver strip and slightly paler mix of pinks. I find the case to be unwieldy and unnecessarily chunky but it does come with a generously sized mirror under the lid. 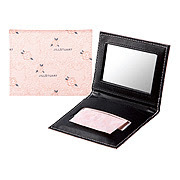 The leather square on the cover adds a more luxurious feel, but I felt that S$70 is still a tad too over-priced. Still, it looked too pretty to pass up. Dior and Chanel are the first to launch their summer collections in Singapore. 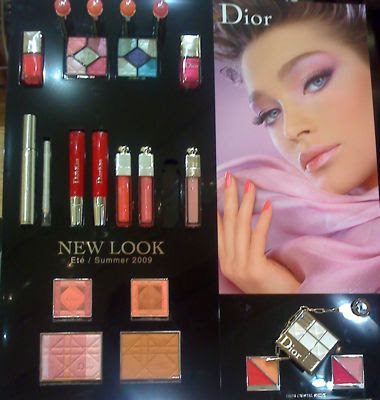 Dior's summer collection is currently available exclusively at Isetan until 30 April. 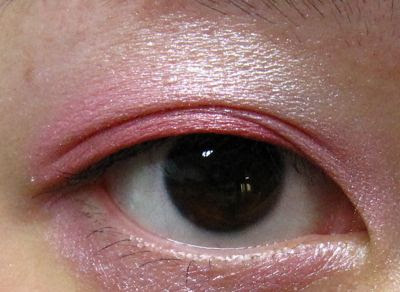 The pink-themed collection is quite unusual for summer and looks more suitable for spring. Everything looked so attractive, I had to force myself to walk away so as not to go on a mad spree. Plus, I should wait until it's available at Tangs where I can get a higher rebate with my Tangs Citibank card. 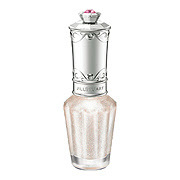 I've got my eye on the Pop Diamond Skin Shimmer, both the eyeshadow palettes and the hot pink nail polish. Chanel just looked so blah and boring in comparison! 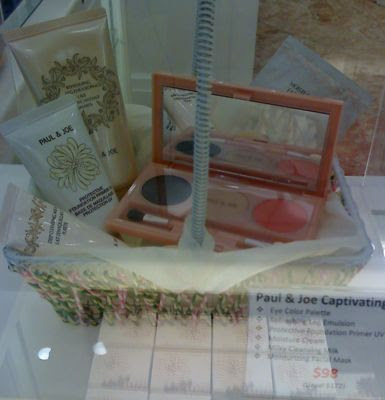 The Paul & Joe counter is offering these two promotional sets for S$98 and S$108 each. 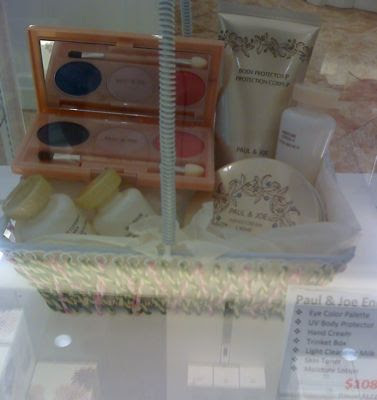 Also spotted the new Canmake Jewel Star Eyes display at Watsons in Toa Payoh and Ngee Ann City. These retail for S$15.50 each and the texture is a soft cream that spreads easily and can be layered for greater intensity. It dries down to a metallic shimmery finish that does not feel greasy but I'm not sure about its lasting power as they wiped off quite easily even after I had let them dry on my hand for more than 15 minutes. Rimmel is also now available in the Watsons at Ngee Ann City. According to last week's issue of Urban, there are plans to expand Rimmel to 50 counters by the end of this year. 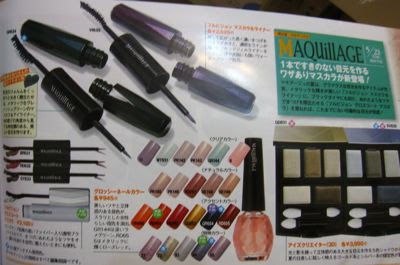 Rimmel is priced quite attractively too with its mascaras going for S$17.90 and nailpolishes for S$5.90. 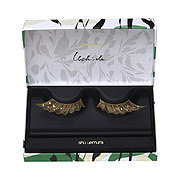 Not as cheap as it is in Malaysia but the mascaras are quite a bit cheaper than Majolica Majorca which is S$25.90. 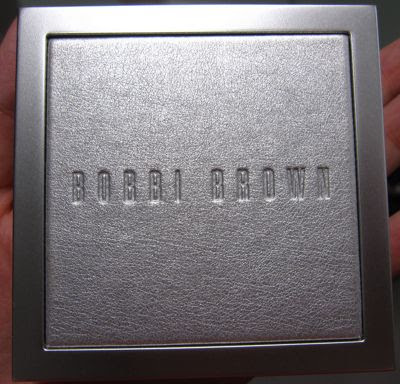 The Platinum Pink Shimmer Brick (S$70) and Runway Collection Kit (S$150) are now also available at the Bobbi Brown counter in Isetan Scotts. 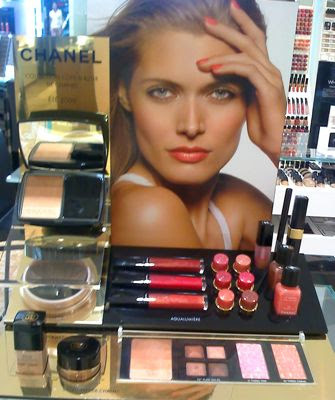 And don't forget MAC is also launching its Rose Romance collection this Friday! 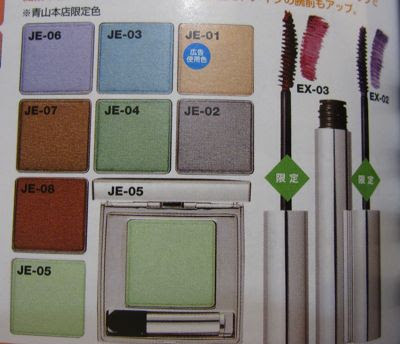 The June issue of Biteki has an article featuring the makeup stashes of beauty editors, makeup artists and publicists for various makeup brands. 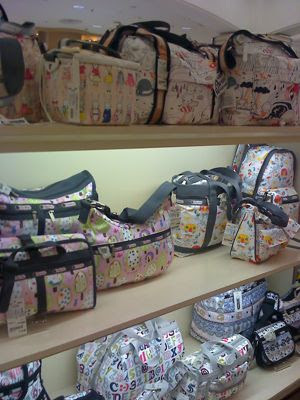 The most delightful collection is that of the Paul & Joe PR manager, thanks to the assortment of cute prints. 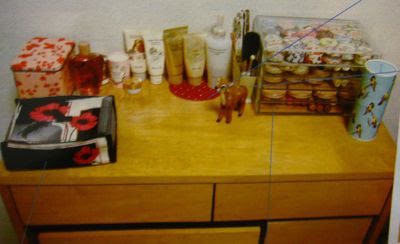 I need to organise my P&J stash in my Muji organiser, which is the one shown in this pic! Muji's Lucite clear organisers are very popular in Japan for storing makeup as they come in an assortment of sizes to fit various needs and allow you to easily see what is in each tray. 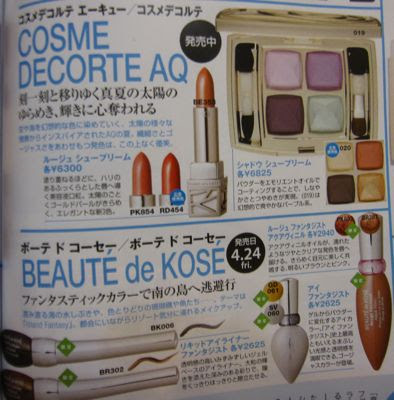 Here are more sneak peeks of the summer collections from Biteki and Maquia magazines. 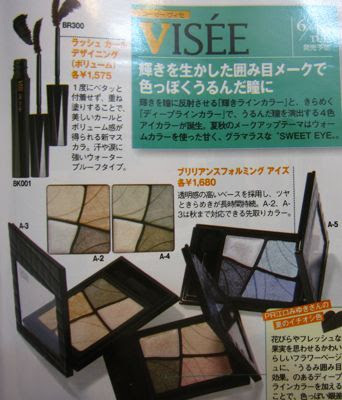 Visee Brilliance Forming Eyes (1680yen) and Lash Curl Designing (Volume) Mascara (1575yen). 16 June. 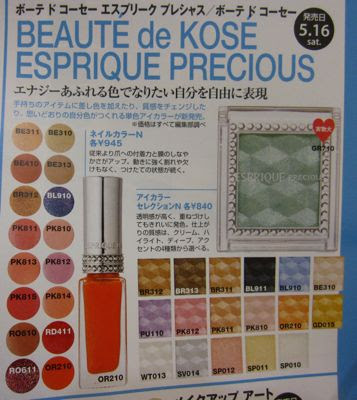 Esprique Precious Eye Color Selection N (840yen) and Nail Color N (945yen). 16 May. 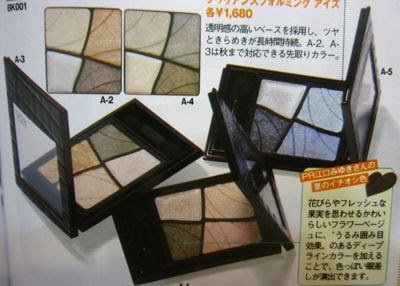 Maquillage Eyes Creator 3D (3990yen). 21 May. 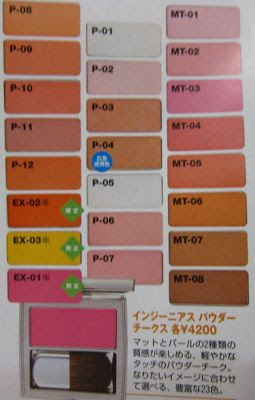 Looks like 5 cream shades! 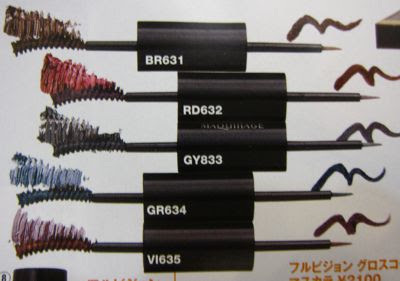 Integrate Impact Double Liner (1575yen each). 21 May. 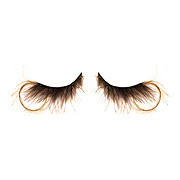 RMK Ingenious Jelly Eyes and Separate Curl Mascara. 8 May. My flight landed at 5pm and I managed to make it to the Luxasia sale 1.5 hours before it ended as the sale location was just a 15 minute walk from my home :-) To my surprise, there was still quite a lot of Stila, RMK and YSL makeup left, plus a wide assortment of perfumes. I had been lemming the Stella McCartney perfume range for the longest time, so I was very happy to get the Peony set for such a great price. The original sale price was S$59, but this was marked down to S$40 on the last day of the sale. Looking forward to next year's sale! 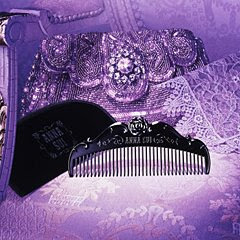 Anna Sui will release a hair and bodycare collection on 4 June in Japan. Love the packaging of these! 1. Hair Treatment Oil (2625yen, 60ml): Made with rosehip oil. 3. Body Protection N (3150yen, 90ml): SPF30 and PA++. 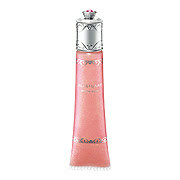 Rose-scented, water-resistant sunblock that is infused with gold and silver pearl for a added glimmer. 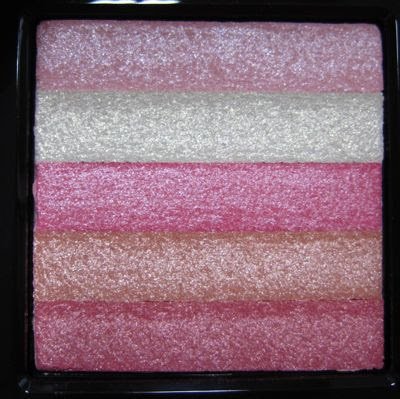 It also contains raspberry and rose extracts, grapeseed oil and olive oil. 4. 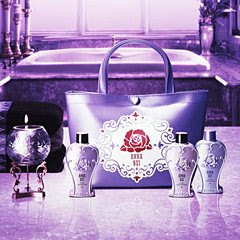 Bath and Body Trial Kit (2940yen): Includes hair shampoo 60ml, hair conditioner 60ml, body shampoo 60ml in a tote bag. 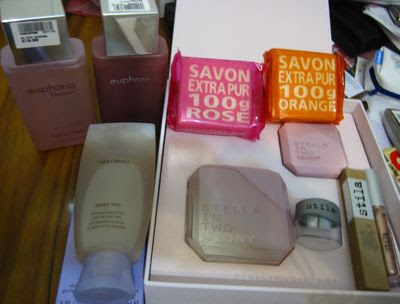 All the products are rose-scented. 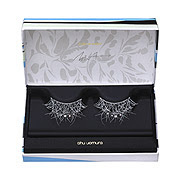 Shu Uemura is famous for their false eyelashes, worn by the likes of Madonna. 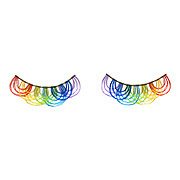 Here's a look at some of the new lash designs that Shu will be releasing on 1 June in Japan. 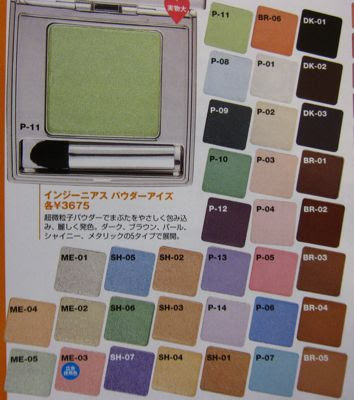 Shu is also introducing 12 new shades of Pressed Eyeshadow N (2415yen) in P y-pink 121, P pink 125, ME pink 155, M pink 165, P y-green 411, M y-green 431, IR y-green 435, ME olieve 471, P green 595, M blue 685, M white 905b, ME white 906. 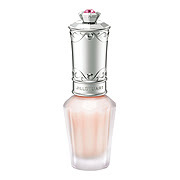 Jill Stuart will release its summer collection on 5 June in Japan. 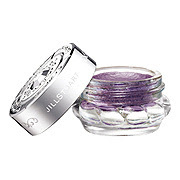 Fans of its Jelly Eye Color may be pleased to know that the Jelly Eye Colors are being revamped with a new glass pot packaging. 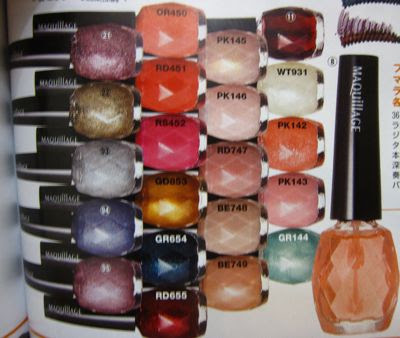 There are only 10 new shades are being introduced, a big decrease from the current 18 shades. I hope some of the more unique shades such as #1 Green Butterfly will be retained. 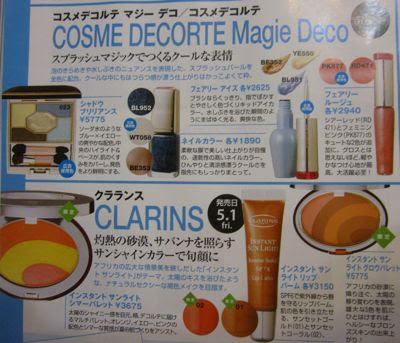 I think the whole summer collection is permanent as none were listed as limited edition on Cosme.net.